While many people have already begun to dismantle their manger scenes and pack those ornaments neatly away for the next 11 months, others may be putting off taking down outside lights until the weather is a little warmer. 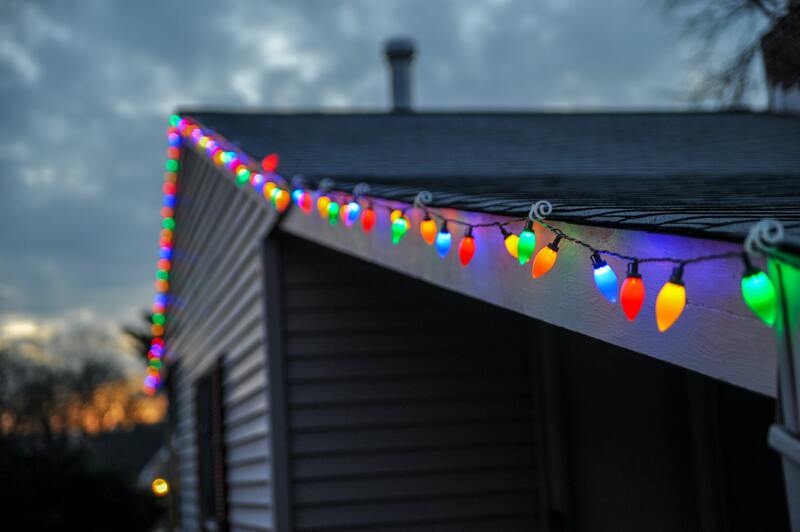 While on the whole that may seem like a solid plan, outdoor lights are actually not meant for prolonged exposure to the elements- meaning if you have had them up since November, it might be time to take them down. Sure, the lights labeled "outdoors" are tested in cold weather temperatures, but the longer the lights are exposed to the elements, the more of a liability they become. Weather changes and severe winter temperatures can cause cracks in the protective coating and in the light sockets. Once these wires are exposed, they can be dangerous to you, your family, and your home, as they can potentially cause sparks or even a fire. Beyond a fire, if your lights happened to be installed against something metal, such as an eaves trough, these exposed wires can electrify the entire piece. Make sure all of your lights are unplugged before you start. If you have to use a ladder or a step stool, make sure you have someone else there to spot you. If possible, take down the lights during the daytime. This time is usually the warmest and can provide the most light to make sure you are disassembling properly. After you have taken down the lights, make sure they are all in proper working condition before packing them away. Also, remember to make sure you are putting your lights in a container that can seal and is stored away from any potential animals that wouldn't mind chewing on electrical cords. Regardless of when you decide to take your decorations down, just remember to do so with caution and care.